As a full service auto repair center in Bedford PA. Town Hill Auto Repair Service provides a wide variety of tire services including tire rotation, tire balancing, wheel alignments and tire sales. 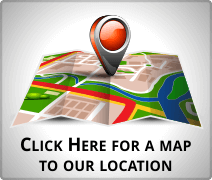 Town Hill Auto Repair Service in Bedford PA. Carries a full line of name brand tires that are sure to fit your budget as well as your needs. Price alone shouldn’t be the determining factor as to the type of tire that you purchase because here in Bedford PA. we experience a variety of weather conditions including rain & snow. Naturally if you have car tires on your SUV, trying to drive through snowy or off-road conditions you’re going to regret not that spending that extra $15 bucks or so per tire. 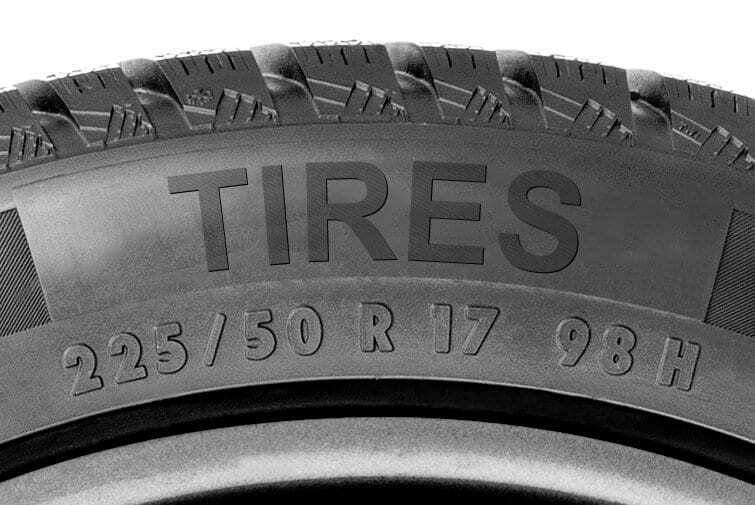 The first letter or set of letters on your tire will represent the type of vehicle that is going on. 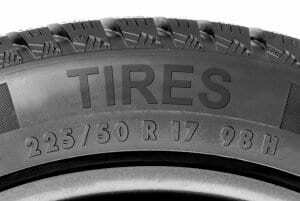 The letter “P” represents a passenger tire used for cars and small trucks. The letters “LT” represent a light truck tire best suited for full size pickup trucks and SUVs. The first number on the tire size measurement identifies the distance in millimeters from the sidewall to sidewall while the next set of numbers separated by the “/” represent a ratio of height. The two numbers together identify the width and height ratio from the rim to the treads where the tire meets the road. Depending on the use of the tire the ratio can be shifted to better meet the need. For example: for those vehicles that need a lot of tread on the ground for traction you would use a lower ratio number meaning that the tire would be wider and shorter. NOTE: The most important use of this number is to make sure that you match the manufacturer specific guidelines to this size. Most newer vehicles have been computer programmed to use the exact tire size to calculate speed and other variables that play into the ABS (Anti-Brake locking System) as well as traction control. The next letter in our measurement determines the construction of the tire. The most common use will be R as most passenger cars and light trucks use radial tires. This is the measurement determines the size of the rim. Most newer vehicles including passenger cars now use the 16 inch rims and larger. For years 14 inch was the standard for most small passenger cars and trucks with the occasional use of the 13 inch for a very small car. Full-size cars and trucks commonly used the larger 15 inch rims because size of the brake system needed for the larger vehicles was greater than that of the smaller vehicles. Commonly today for performance vehicles we see 17 inch rims and greater to compensate for the size of the braking system or to provide a particular look that the manufacturer is going for. The final measurement identifies low capacity for the tire based on the tire inflation. The greater the number the greater the low capacity. For light trucks you would want to go with a higher number if you were wanting to carry heavy loads or you are planning on putting a larger amount of stress on your tires like off-road style driving. The “H” represents the speed rating as to how fast the tire can go without flying apart. While there are quite a few speed ratings that can be applied, most passenger tires are rated up to 130 mph (H) while performance vehicles such as Mustangs, Corvettes and Ferraris are going to have a rating of over 149 mph (Z). The measurement is calculated based upon the amount of rigidity in the sidewalls of the tire based upon the makeup of the radial. The higher the rating, the more rigid the ride but less role in the tires when cornering meaning greater control. 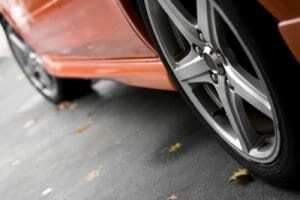 The lower the rating, the softer the tire which lends for a smoother ride; but less grip and control at high speeds. Town Hill Auto Repair Service in Bedford PA. can help you select the right tire based upon your budget and driving needs. Being that your tires are the only part of your vehicle that connect you to the road we see it as the most important element of your vehicle. Having the right tire on your car could be the difference between an accident in the rain and getting home safely. Be sure to ask your service advisor about tire options that meet your driving needs. What do those oil numbers mean?